In a research project the propagation of different gases has been analysed. The overall objective of the project is to find, identify and prove a gas which is released very early in a potential car fire in a road tunnel. 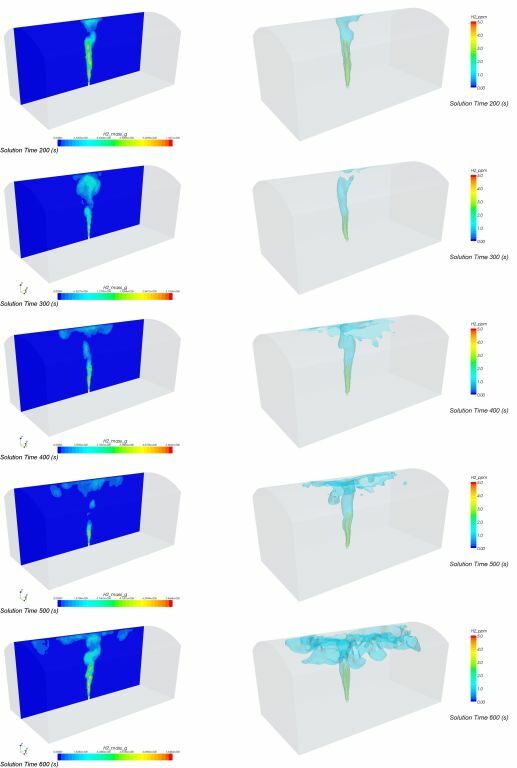 CFD calculations have been used to visualise and estimate the gas concentration in the road tunnel. The following picture shows H2 as an example. These pictures show the spatial distribution as a function of time. The initial conditions have been found by means of detailed chemistry simulations. The study implies different ventilation states and gas concentrations. Furthermore, various species are taken into account. 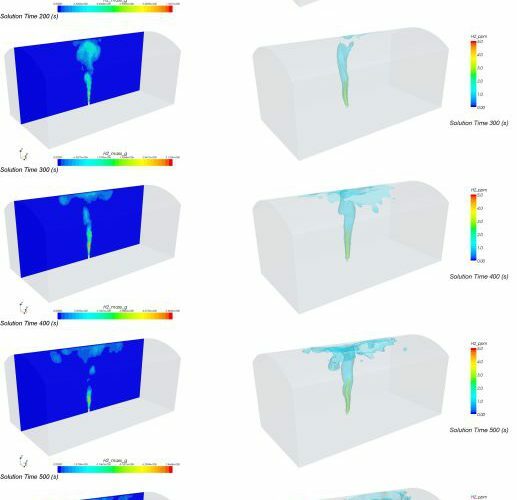 For the CFD computations a LES turbulence model was used.